Euronda returns to Italy for the unmissable Expo Dental Meeting in Rimini. 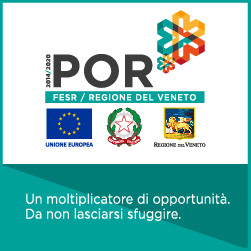 Following the success of the 2017 edition, attended by over 18,000 professionals and operators of the sector, this year’s event will be even bigger: besides the higher expected attendance and greater novelties on display, there will be a programme of conferences and courses dedicated to the sector, focusing in particular on innovation and digital applications. Euronda will feature with all the novelties for 2018 dedicated to sterilisation and disposable dental supplies, including the new E8 and E10 autoclaves and the new colourful disposable products of the Monoart range. Lastly, there will be a space dedicated to total asepsis, featuring Alle range devices and accessories dedicated to the creation of a sterile surgical field for dental practices. Furthermore, Euronda has organised a workshop during the meeting dedicated to sterilisation, aimed at providing a broad overview on the topic in terms of both operational and technological aspects as well as regulatory and communication issues. The Expo Dental Meeting will be held in Rimini at the Fiera Rimini exhibition centre. We look forward to seeing you at our stand C2! Old and new regulation governing medical devices: what changes with the new Regulation?